Born and raised in east Tennessee, as the son of an attorney, Matthew had been exposed to the legal profession his entire life. He attended the University of Tennessee as a National Merit Scholar, where he double majored, graduating with honors in Political Science and Philosophy in 2004. He then earned the Joel Katz family scholarship to attend the University of Tennessee College of Law. 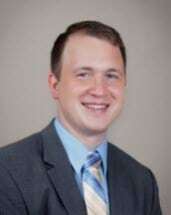 During his time in graduate school, he worked at a small firm in Knoxville that handled primarily family law and personal injury cases, as well as spending a summer working in municipal government. He earned his Juris Doctor and Master of Public Administration degrees in 2008. Matthew moved to Georgia in 2010 and spent a year working in a political campaign. Upon resuming his legal career, he spent two years working on large scale litigation at an international law firm in Atlanta. He focuses on family law, personal injury, criminal defense, and appellate work.